Introduction: In his article “Death and Taxes in the Netflix series Marco Polo,” Ryan McMaken writes: “Also prominent within the series is taxation, and those who collect and count taxes are three-dimensional and largely sympathetic characters in Marco Polo. Meanwhile, those who actually generate the taxes—merchants like Marco’s father—are either self-serving or ‘simply nameless rabble’”. 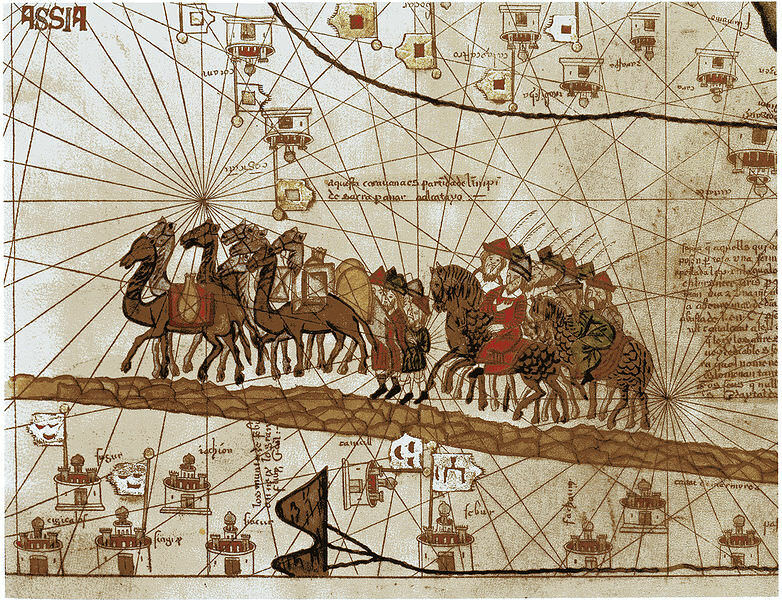 With the second season of the television series currently set to be released at the end of 2015, this might be a good time to consider the relationship between tax producers and tax consumers in the Mongol empire according to Marco Polo’s own late thirteenth-century account, originally called the Le Divisament dou monde, literally translated as Description of the World, but more commonly referred to as Travels. The facts of history, after all, are better served through studying primary source materials than pop culture. Although some historians had put into doubt the reliability of the Divisament, Hans Ulrich Vogel’s thoroughly researched and meticulously documented comparison of Polo’s account of such phenomena as currencies, salts, and revenues to the actual state of affairs in Mongol China, Marco Polo Was in China: New Evidence from Currencies, Salts and Revenues, demonstrates that the Venetian merchant had an intimate and accurate knowledge of the political and economic workings of the empire. My aim is to bring attention to his descriptions of economic and political features of the Mongol empire that are especially meaningful when viewed through the lens of Austrian economics.